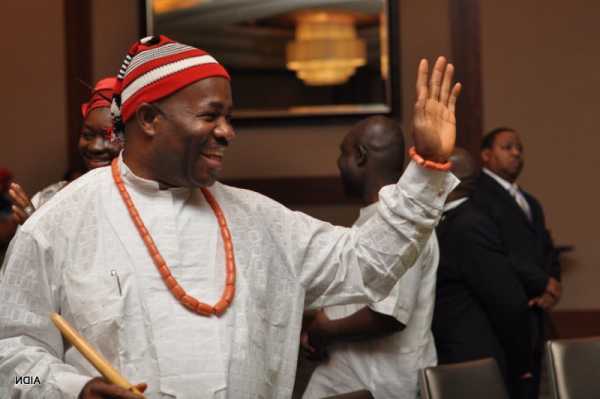 Godswill Akpabio arrested by EFCC over alleged mega Fraud | Ex-Gov. Responds "I was Invited...not Arrested"
Former Governor of Akwa Ibom state Godswill Akpabio has been arrested by the Economic and Financial Crimes Commission (EFCC) in Abuja tonight. Akpabio served as the governor of the oil producing state for 8 years with his term ending in May 2015. 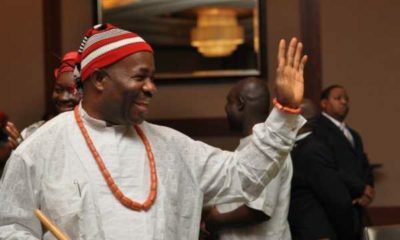 The EFCC started investigating an alleged theft of N108.1billion of Akwa Ibom funds by Akpabio in June. He alleged that between January and December 2014, the ex-governor colluded with two of his top aides to steal a whopping N108.1 billion from the state’s treasury. Akpabio is the current Senate minority leader. The former Governor has responded to this story via Twitter. Stating that he was only invited for a chat and not arrested. Senator Akpabio was never arrested. He simply obliged an invitation to come & answer some questions at the EFCC. Senator Akpabio has nothing to hide that’s why he walked into EFCC himself this evening to answer questions about his tenure in Akwa Ibom. Those who are playing politics with the decision of Senator Akpabio to honour the EFCC invitation must be acting a known script. Senator Akpabio was called from EFCC to come for explanations & he drove there himself 50mins later so why all the news of arrest? H.E Senator Akpabio is back to the house. We want to reaffirm that he has nothing whatsoever to hide about his term in office in Akwa Ibom. Is no one disturbed by his use of the third-person to describe himself in his tweets? As if no be ‘im dey write them? Or say ‘im regard ‘imself so highly! That’s because most times it’s not him tweeting, it is his SM Manager. The reason this is done is for people to able to distinguish who is tweeting, any tweet directly from him probably carries his initials(as is the case with most political office holders), so that the day SM Manager would go and form overzealous and misyarn, he can easily disown the statement. Hmmmm PART TWO of Buhari’s revenge on Jonathan’s people, first Dieziani and now Akpabio. Tinubu, Fashola and Amaechi still dey oh, abi EFCC no dey see them? I thought he already denied it. Shcweeeep!! Mega fraud ko?? If dem put MEGA in front of your fraud in Nigeria, then you must have stolen the entire treasury…cos if you check am, Madam Dezaini wey dem talk say chop trillions no carry mega in front of her theifery, sorry, alleged misappropriations. This life is just a pot of adalu. Why apc people are saints nau. Saint Amechi. So efcc will not arrest amechi abi? I’m angry o. Which immunity is covering that guy sef? Buhari better don’t shield amechi o. This our mumu senators will tell him to take a bow now, abi which kain country be dis sef? I’m strongly thinking of leaving and nobody should beg me to stay back and build nigeria. And when I leave? I’ll be gone for good. That’s a promise. Even if buhari is witch hunting PDP members let PDP witch hunt APC members the clean up is easier. Yes oh, i’m not surprised. I know one of his girlfriends. The man is a big spender so he needs to steal wella to keep up the spending. Those complaining that it’s pdp guys should be happy that at least some people are being made examples of. And you are proudly declaring that sort of person as your friend. Speaks a lot about the type of person you are. Buhari and his witch hunt on minorities, picking scape goats along the way and leaving the real theives to stroll into the villa. This northerners and westerners think Nigeria is theirs now, but they won’t see it coming, continue witch hunting my brothers from the east and the south, the time the revolution will come y’al will be too high on your negligence. Take note: NIGERIA CAN NEVER BE UNITED! After Akpabio, it will be Uduaghan, after Uduaghan it will be Liyel Imoke etc. Just like Ibori,Alameyeisia, GEJ,Deziani……..
Oshiomole,Amaechi, Aregbesola, Fashola, Fayemi are in the party of saints….. they will be spared. Bloated Lamode dare not touch a Fulani,or mainstream Hausa, he can only pick people from Jos, Kogi, Benue etc. Farouk Lawan and the rest who ruled Nigeria since 1960 be saved except Buhari’s enemies. SE watch out your governors will be next!!!! It’s very interesting how APC fight kwarupshian. where or when did @mrschidukane say the girl was her friend. knowing someone doesnt necessarily mean the person is ur friend. u are a very judgemental person, I can tell. always ready to point at someone for doing wrong. tufia for u.
I don’t care if you steal a loaf of bread. A thief is a thief. Diezani did not steal more than Amaechi or Fashola. Yet, some are Ministers while some are being hounded. 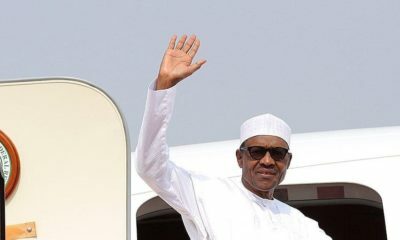 Recent developments in the polity just exposed Buhari as a fraud. All those looking up to saint Buhari, how market? Hound one, hound all. This selective persecution stinks. Our law enforcement people in Nigeria are very crude. They are looking at/reading Buhari’s body language. To walk scot free, simply align with the govt in power. You can then bow and go and enjoy your loot. Thanks my darling @Bruno, I do owe you one and will pay in kind. I hope Thief T A Orji is next. Some governors like Akpabio provided some dividends of democracy while stealing. Thief Orji did nothing whatsoever in Abia. The guy destroyed the place with his useless son. Abians will be vindicated soon! Me I like this trend o. Let all the PDP thieves be brought to book. When next PDP gains power, let the APC thieves be brought to book too. At least now, everybody will sit up. Chikena. Fashola said he doesn’t sign cheques during his ministerial screening at the senate,so i guess only Akpabio and Deziani are among those that sign cheques. Naija i hail oh .hahaha…..
Buhari one sided appointment, one sided fight for corruption is a huge joke of the century. Who ever take ancestor b serious??? invite ko, invitation card ni. invite is just big man term for arrested. ova u were arrested. 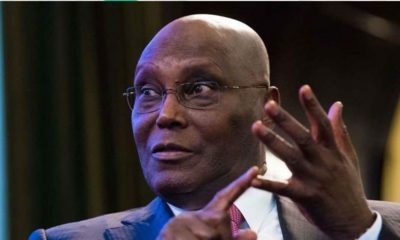 Go and sit down joor the one bleating on about South South and south East being persecuted..have you not seen the Yorubas arriaigned….in cohort with Deizani’s looting..
9ja’s reasoning is something else…you from my tribe if you steal $1 billion you get a pass..I tire for you people..walahi!! @concerned9ja, Which one is bleating? Your up binging is so faulty. Very vile words always. I assume you watched a lot of violence growing up in ur household. Your psyche is damaged. Cursed will be those who leave the Iroko trees growing in their eyes, then seek ways to take off a grain of sand from their neighbors eyes. .
@Nene pls we want to move on as a nation, since you’re a beneficiary tell your next PDP president to probe APC. If PMB no start this process,tell me who go start am and when will they ever make the move to start? If we pardon everybody, how we go take move on as a country. Pls stop your rant already. Selective persecution is better than no persecution. If Jona had started the probe he probably would have still been in power now. Please a question the money that the forma Governor take way,is the money belong to Federal Government or State Government. If the money belong to State the State should take action and if the money belong to Federal then the president should take action.